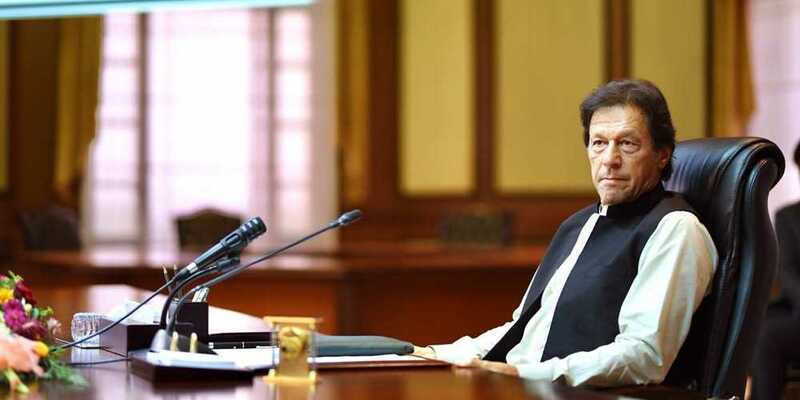 Prime Minister Imran Khan said on Thursday that he is happy that the United States has, for the first time, agreed with the stance of his party, Pakistan Tehreek-e-Insaf (PTI), that there cannot be a military solution to the Afghan war. Addressing a meeting of the federal cabinet, the premier spoke about his meeting with US Special Representative for Afghanistan Reconciliation Zalmay Khalilzad who is currently visiting Pakistan. "Khalilzad was sent by the US President Donald Trump to discuss the Afghan peace process and I am happy that I met him." "I am also happy that for the first time the US has recognized what we [PTI] have been saying for the past 15 years that there cannot be a military solution to the Afghan war," he said. "The US wants our help to establish peace in Afghanistan and I always believed that instead of 'do more' we should play a role in the Afghan peace process," the prime minister told cabinet members. "We will try our best to establish peace in Afghanistan through dialogue," he added while lamenting that "we were treated as if we were being given funds to fight someone else's war". "It is good that we have gotten the chance to play the role of a mediator rather than fighting someone else's war," PM Imran said. The premier also spoke about the Yemen issue and said, "I spoke to Saudi Arabia and Iran's foreign minister regarding establishing peace in Yemen. The Iranian foreign minister asked us to play a role to bring an end to the Yemen war."